We made our way to city hall and saw a group of pro-choice-people assembled with their banners and posters. 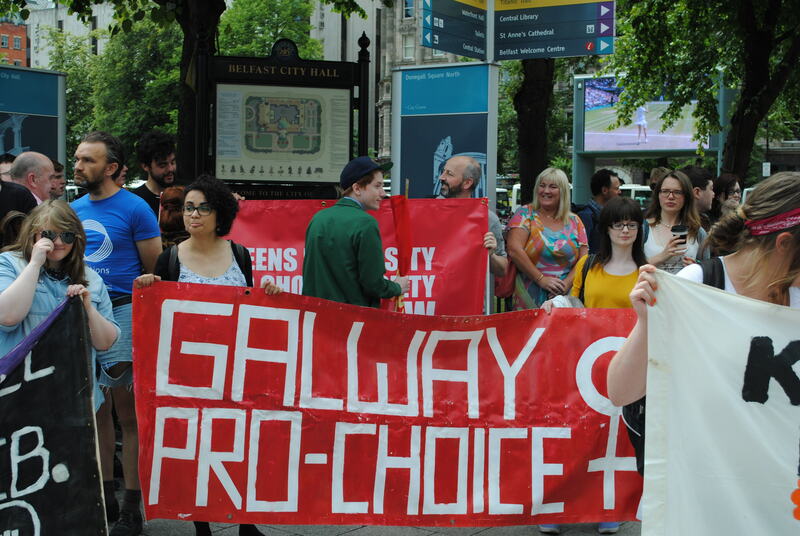 Members of Galway Pro-Choice were there and I spotted banners from the QUB Choice Society; the Socialist Workers party and an anarchist group with a Women on Web banner. 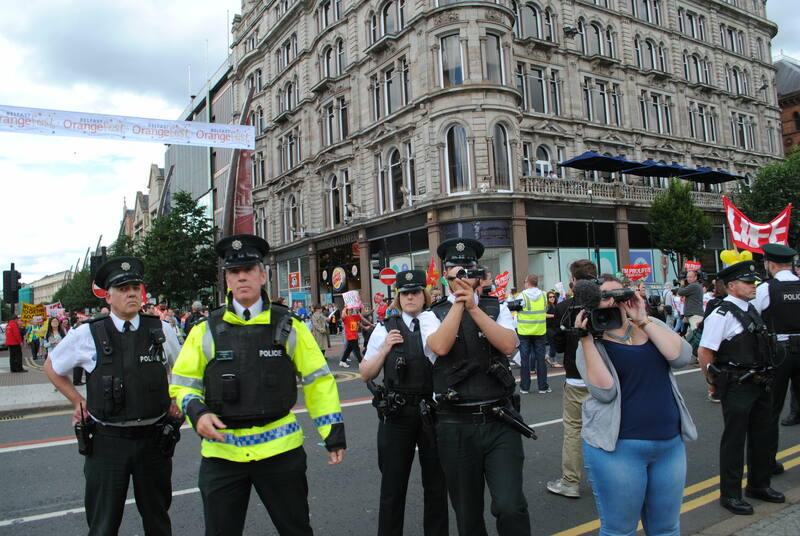 We were approached by a PSNI officer who said that our protest was illegal. He told us they could take our names for future prosecution but to the best of my knowledge they only recorded one name from Dublin. The counter demonstration proceeded as planned, observed by what seemed to be an inordinate amount of police officers. We were recorded on film at all times during the protest, and after it was over the police officers lingered in the area until we had left it. People who were at last year’s counter-demonstration said that our numbers were up from 2013 and the anti-abortion numbers were down. The Rally for Choice was a great opportunity for members of the pro-choice community to meet, share stories and catch up with friends and colleagues. Following the counter-rally we attended the ‘Exhibition for Choice!’ – celebrating the struggle for Choice and Women’s Liberation, which took place in the Warzone Collective and featured work from local artists Jason Brannigan, Tyler McNally, Sarah Ward and Emma Campbell. The positivity and camaraderie displayed by the pro-choice community on both sides of the border is hugely gratifying, I feel proud to have been a part of this year’s Rally for Choice.